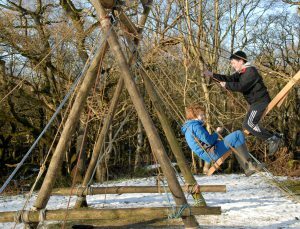 The site can be used for a wide-range of self-led activities, or you can make use of local instructors for crate stacking, abseiling, and other high rope activities. Below is an overview of some of the equipment we have on site. 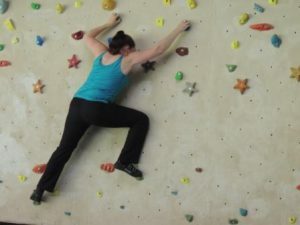 The traverse wall is located in the barn so is a great activity for wet weather. 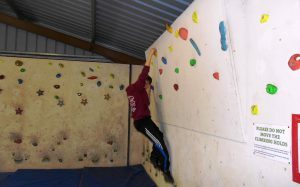 The wall is set up with routes suitable for all ages from Beavers through to adults. 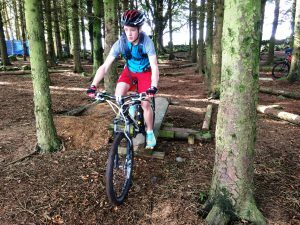 The site has equipment available for most pioneering projects. A large variety of poles and rope can be provided and the site has equipment needed for building an aerial runway (users must refer to POR for correct usage). 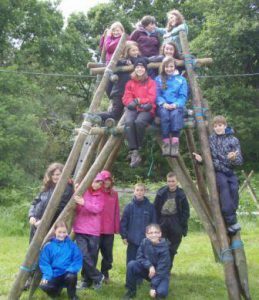 There are several high ropes activities which can be run onsite either by a group’s own leaders or by local volunteers. Please check with the booking secretary for required permits or qualifications. 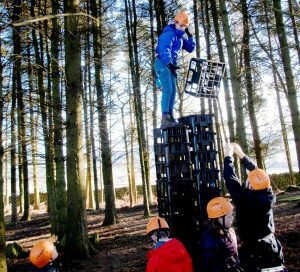 Crate stacking can be run on the outdoor facility in the pine wood which allows participants to climb to approx 20ft. 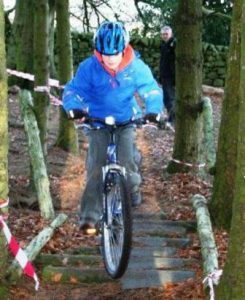 The Barn provides sheltered activity space and and 2 independent activities can be run simultaneously. 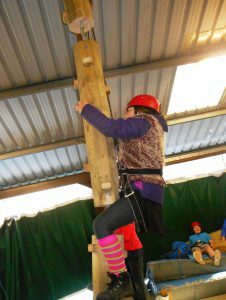 Equipment is provided for crate stacking and climb the wobble pole. Prussicking can also be run if own equipment is used. 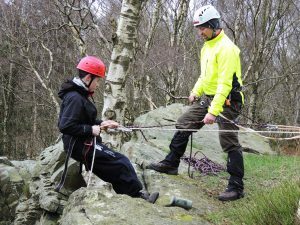 Abseiling can be run on the natural crag with fixed anchor points provided. 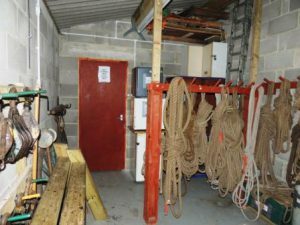 The site can provide harnesses and PPE for the above activities.